Brett Rutecky » Are you taking advantage of Facebook ads? We all know about ads. Pay per click, pay per impression. But what many people still fail to realize is that Facebook ads is one of the most lucrative platform you are going to find. Why? Well there are several reasons. However the top ones are that they are very low cost and they can be laser targeted. Facebook ads are one of the lowest priced ads you are going to find anywhere. Because of Facebooks massive user base and the sheer number of page views it delivers Facebook can is able to price its ads at an unprecedented level. Most new ads will pay around 50 cents a click or 20 cents per thousand impressions. But this is just the start. 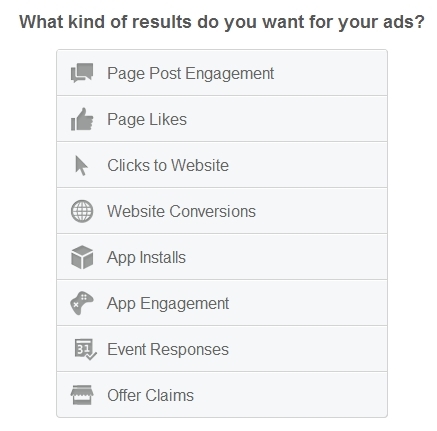 As the ad campaign progresses and starts getting clicks Facebook will reward you by lowering the ads cost. Its not unheard of for people to pay 3-5 cents per click and as low as 8-12 cents per thousand impressions. Sure people who click on Facebook have a slightly lower conversion rate over other platforms such as Google but when you consider how much lower the cost is you end up more than making up for the slightly lower conversion rate. Because Facebook is a social platform they are able to collect a ton of data about their users. I have read reports that estimate that Facebook collects a terabyte of data every single day! Because they know so much about their users they let you target your ads in a way that you simply cant with other platforms. Everyone talks about ‘laser targeting’. In fact its a term thrown around so often that its almost a catch phrase. However with Facebook you truly can laser target your ads. The net result is that you get more clicks, more traffic, and in the end make more money. So how do we set up an ad on Facebook? The first step is to determine what you want to accomplish with your ad. Obviously you want to send traggic somewhere but the question is do you want to get traffic to a website, to a fan page, or to a Facebook app. Most people are going to want to send traffic to either their website or to their fan page. For this example I’m going to set up an add to send traffic to my web page. Now that we have decided what kind of ad we are going to run our next step will be to upload the ads graphics. Facebook actually shows ads in several different positions. Also Facebook has a very cool feature that allows you to upload 6 different ad graphics. It will then rotate through these graphics when your ad shows and will automatically show the non performing ads less and the ad graphics that perform well most. Facebook provides the add rotation service and automatic phasing out of non performing ad graphics at no additional cost. Why you might ask? Well the answer is simple. Because Facebook wants to do what ever they can to help your ad get clicks. Now this might be obvouse for PPC campaigns where Facebook gets paid per click. But even on CPM campaigns even though they dont have direct financial incentive each time a advertiser gets a click they still want you to get them. The reason for this is simple. If your ads perform well, you will spend more money on new ads. Thus Facebook wants to do anything that they can to help your ads perform well. Perhaps one of the most exciting ad types is the news feed ads. With a huge 600X315 area you can have some really awesome ad graphics showing. Something to keep in mid with these ads types though. You are allowed to have text in the ad. Again Facebook wants you to get clicks which is why they allow it. Do not just use a stock image for these types of ads. Ok so now that we have decided where our ad is going to direct to and have our graphics uploaded, The next thing is to target our ad. This is where Facebook really shines. Because they have so much personal data on their users Facebook lets us target our ads in a way that other networks like Google and Bing simply can not. This is great because the more clicks we get, the lower the cost per click becomes. Its through using laser targeted ads combined with high performing graphics that people are able to get the super low CPC charges. Low CPC means more bang for your buck. Two settings for your targeting should very easy. The first is age. If your going to be directing people to a site with the hopes of selling them something then you should set the age to a minimum of 18. Why? Because people under 18 generally dont have credit cards. Now some people will say that you can target children with the hope that they will get their parents to make the purchase for them. However I never subscribed to this thinking because a) kids are have a short attention span, they will just bounce away 99% of the time and b) parents are not very likely to stop what they are doing, and suddenly whip out there card and buy something online because their kid clicked an ad. Also, for me, I like my ads that are trying to sell something, to go to the people who can actually buy it. The second setting that should be very easy is the gender setting. It should be very easy to know if your ad should target men, women, or if it does not matter. Its the ‘interests’ section that is really going to let you target your ads well. With this you can help ensure that your ads are going to be shown to people who are likely to click on them. This again is something that the Facebook platform can do to a degree that no other platform can match. Something to keep in mind however. As you refine your targeting, your target audience will decrease. This will cause the suggested bid to increase as Facebook has a lower pool of people to show the ad to and wants to be compensated for this. Dont let this worry you. As your ad gets clicked you will be ‘rewarded’ for having a good ad by Facebook with a lower CPC or CPM. This will more than make up for the higher suggested bid. In fact people rarely if ever actually pay the suggested bid amount. The final setting that you are going to need to decide on is what kind of budget do you want. Here people often get confused. What you have to first understand is that Facebook ads just like most ad platforms are on a kind of ‘bidding’ system. Even with Facebooks massive user base it still has a finite number of impressions and ad slots. Because of this only a finite number of ads can be displayed. This becomes exasperated when you consider multiple people wanting to display ads to the same group of Facebook users. When you place your bid on a Facebook ad you have to keep in mind that this exactly what you are doing. You are placing a bid. Also keep in mind that Facebook bids are a sort of bid by proxy system. What this means is that just because you bid X per click does not mean that you will pay X per click. If no one else (or few other people) is trying to advertise to that same target audience as you are then you will not have to pay that amount. If others are and ad space is limited Facebook will auto bid ‘up to your max’ for you to try to purchase a slot for you. The result is that Facebook is always getting the highest bidder for its finite ads slots, while you are only paying just what you need to pay to out bid the other advertisers. It does not matter if your doing CPC or CPM ads you should always bid up to the exact amount you are willing to pay for an ad. So how do you determine what you should be willing to pay? Well if your selling a product its not so bad. One way (if your a math nerd like me) is to use sales history of the product your selling to calculate an expected conversion rate and then figure out the CPC break even point – a acceptable profit margin to get a mathematical max bid your willing to pay. If math or statics are not your thing you can just use an easy rule of thumb. Fifty cents CPC for a product that is $50 or less. One dollar CPC for a product that is $100 or more. Of course if your not selling a product and are just trying to do list building from the traffic or are just looking for general traffic the amount you should bid becomes more difficult to calculate. In that case I would suggest you bid as much as your budget can afford that will still get you an acceptable amount of traffic once you have used it all up. Only you can decided based on your personal situation what this will be exactly. So to sum up. Facebook ads are a wonderful way to get low cost, highly targeted traffic provided you use quality design in your ads and well written ad content. I personally have done very will with Facebook ads on average earning $1.50 for every $1 I have spent on them. If you are not using Facebook ads I would highly suggest you give them a try. Thanks for the article. How about a video showing you using Tab Engine with FB ads? Hey Jim, I wanted to keep this article mostly about ads in general and not use it as a plug for my product. (unlike some people I dont believe everything has to be a plug for your product) Thats why I didn’t speak about using TE with ads in it. If you want to use the contact form and send me some info on exactly what kind of TE training your looking for Ill be glad to do a different training article based around TE / Ads. Thanks for your offer. I been doing quite a bit lately with FB ads, including getting $.01 clicks for “like” campaigns for local businesses. Now I’m ready to move on to FB ads for affiliate/CPA marketing. My experience so far has been that the FB ad costs are lower if you’re linking to a Tab. So my plan is to create a landing page using TE with buttons that link to the order page or the sales page. I guess I’d like to see you build a tab landing page for an affiliate product (I’d like to direct link using iFrame but most affiliate product landing pages are not secure). It’s my understanding that FB does not always like direct linking to sale pages anyway, especially Clickbank, so that’s my primary reason for a landing page. Not interested in building a list, I’ll do that later. For now, just want to test selling directly (via landing page) with FB ads. Let me know what you think and thanks again for your unbiased reviews! Directing your ad to link to a landing page on Facebook does tend to perform better. People seem to dislike when they click on Facebook ads and are taken off of the entire Facebook platform. Its for this reason many people create a squeeze page as a tab on their fan page and direct their ads to that tab. I also agree using Facebook ads for list building can be a very good strategy.